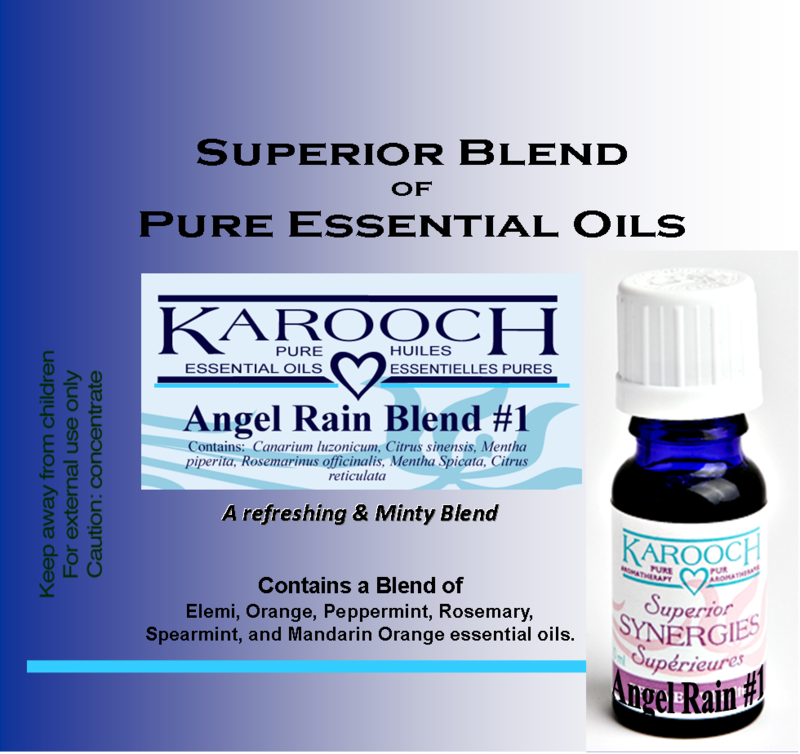 Angel Rain Blend #1 – 10 ml – Karooch – Alypsis Essential Oils. Aromatherapy Grade Essential Oils, Pure and Natural. Angel Rain Blend #1 Contains: Canarium luzonicum, Citrus sinesis, Mentha piperita, Rosemarinus officinalis, Mentha Spicata, Citrus reticulata (Elemi, Orange, Peppermint, Rosemary, Spearmint, and Mandarin Orange). A refreshing & Minty Blend. 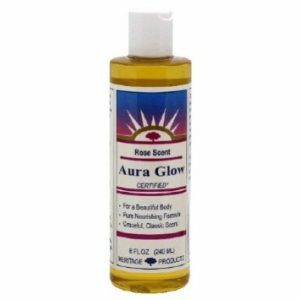 To Use: Place 3 to 4 drops in a room or car difussor or sprinkle in humidifier. Refresh when needed. Enjoy! Find out more about Essential Oils – Properties and the Uses of Essential Oils – Check the following books: Illustrated Encyclopedia of Essential Oils or the Aromatherapy Bible. 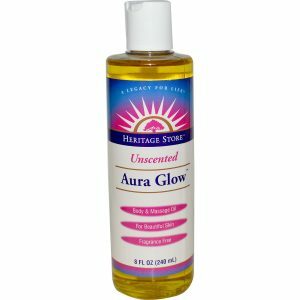 We carry many Oils, some have not been added to the website. If you are looking for something, please contact us. Our Commitment To You – Premium quality essential oils and absolutes. We have access to over 70 different essential oils from around the world. Pure, unadulterated oils. An ongoing testing program links quality of the oils to batch numbers. 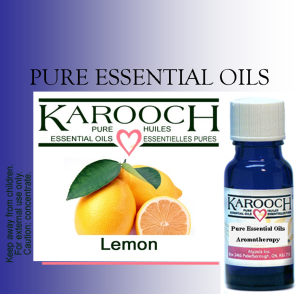 Karooch Essential Oils purchases direct from growers and oil distillers to ensure quality product at the lowest prices. Polar Bear Accepts special orders… oils we don’t normally stock or in special quantities. 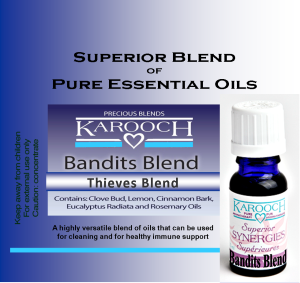 Precious Oil Blends: Sandalwood 5% in Jojoba oil, Rose 5% in Jojoba oil, Jasmine 5% in Jojoba oil, Neroli 5% in Jojoba oil.